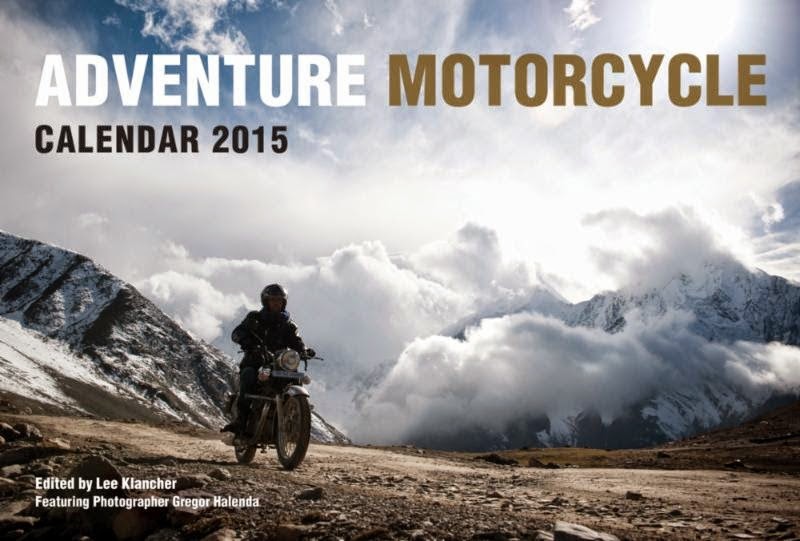 The annual Adventure Motorcycle Calendar is back for 2015. I love these calendars; I'm staring at the 2014 edition as I type this, and the 2015 version will be proudly displayed immediately upon completion of Earth's current orbit. Published by Octane Press, this year's edition features images by professional photographers from around the world, including the stunning photography of Gregor Halenda, a commercial photographer and adventure motorcyclist. His work takes you to some of the most interesting portions of the United States including; Copper Center, Alaska; Moab, Utah; and Rollins Pass, Colorado. The calendar also features shots from other photographers that explore the wilds of Russia winding through Kazakhstan, Kyrgyzstan and Uzbekistan, as well as the Himalayas, remote corners of Alaska, and the Dalmatian Coast in Croatia. The world is your oyster when you own a motorcycle, and the Adventure Motorcycle Calendar 2015 celebrates the fabulous places and fascinating people who adventure out to see the world on two wheels. The calendar is available for purchase at Octanepress.com and wherever books are sold.